This kind of thing drives me nuts when I hear about matters such as this. A public servant is fired from his or her job and the guy to whom the person reports tells us all what a “great” job he or she did. If the person getting canned is doing a great job, wouldn’t that person keep his or her job? U.S. Secret Service Director Randolph “Tex” Alles is heading for the exits. Donald Trump instructed White House chief of staff Mick Mulvaney to fire Alles. So, he did. 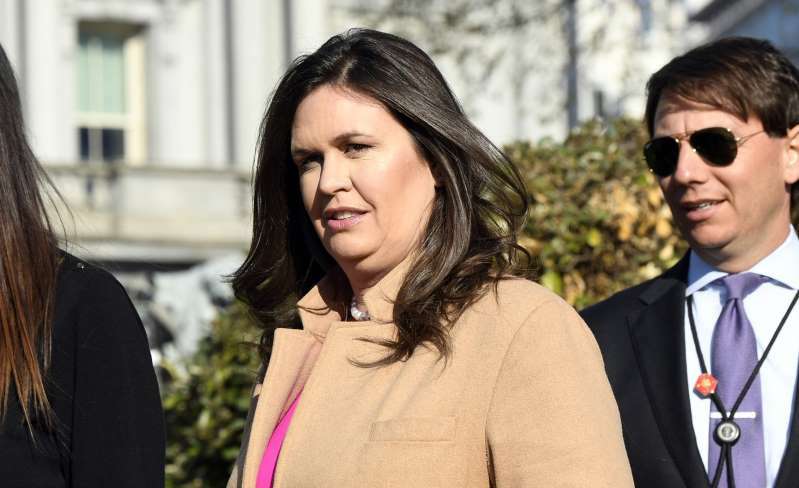 Then press secretary Sarah Hucakabee Sanders said on behalf of the president that Alles had done a great job running the agency that used to be part of the Treasury Department, but has moved to the Department of Homeland Security. 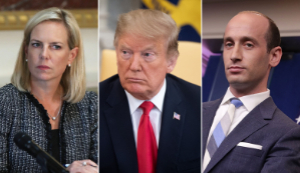 DHS Secretary Kirstjen Nielsen “resigned” effective immediately over differences with Trump on immigration policy. The president thanked her for her service. That’s it. Message received: Nielsen wasn’t cutting it at DHS, in Trump’s view. But the Secret Service ouster appears to be part a wholesale housecleaning at DHS. I’ve read the reports that the man/child behind the shakeup is that 30-something whiz kid/maniac Stephen Miller, who seems to believe that the president needs to get even more harsh on immigrants, legal and illegal alike. This isn’t fun to watch, no matter the president, the party or the policy involved. 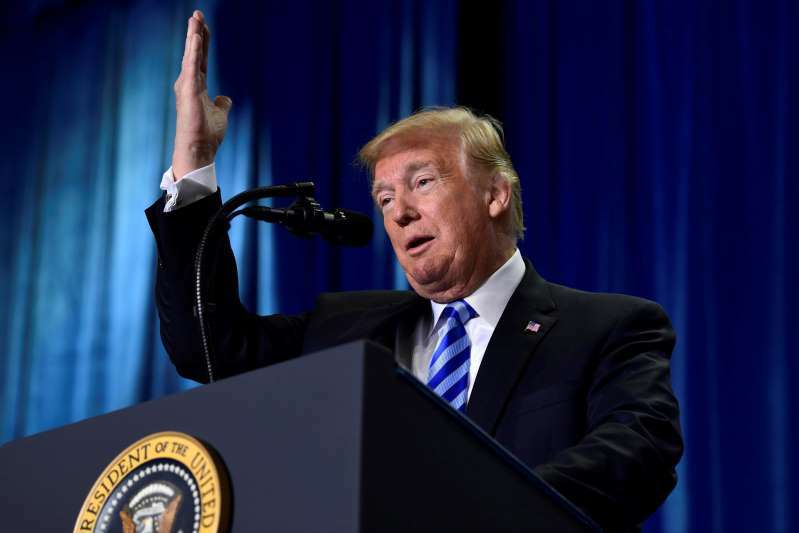 POTUS seeks to rally the base, ‘er, nation? Donald Trump wants to go on national TV to rally Americans to his side as he pitches the idea of building The Wall along our southern border. I believe the networks ought to carry the president’s televised speech Tuesday night. Let the man have his say and let the public debate and decide on the veracity of what he is contending. Trump is considering whether to declare a national emergency to obtain money for The Wall. Why? Because he contends that terrorists are crossing an “open border.” He is trying to gin up fear, in my view, among Americans. Oh, but wait. We are now getting reports from other sources that say that a grand total of six suspected terrorists were apprehended along the border in 2018, not the reported 4,000 of them alleged by the Trump administration. Indeed, “Fox News Sunday” host Chris Wallace, interviewing White House press secretary Sarah Sanders on Sunday, challenged her 4,000-terrorist assertion by declaring that those suspects are being apprehended at our nation’s airports. So now we’re going to hear from the commander in chief about what looks like a fabricated crisis along our border. I guess hell has frozen over, as it does from time to time. Donald Trump’s declaration that Barack Obama “founded” ISIS certainly was a hideous declaration from the campaign stump. His decision to pull U.S. forces out of Syria, though, does give the Islamic State reason to revive itself. The Russians also are happy, given that they want to eliminate the forces fighting against their man in Damascus, Bashar al Assad. The Turks endorse the president, too, as they want to wipe out the Kurds who pose a threat to them while fighting on our side against ISIS. Still, for Kilmeade to say on national TV that Trump has “refounded ISIS” is stunning, given that “Fox & Friends” has been such a traditionally venue for the president. He goes on the air, makes profoundly false statements and hardly ever is called out by the Fox hosts. I have given Sarah Huckabee Sanders the benefit of the doubt during her time as White House press secretary. She’s got a tough job, speaking for a president who lies out of both sides of his mouth. I didn’t actually believe Sanders was a fellow liar, incapable of telling the truth. Until just recently. She declared at a press briefing that Donald Trump won an “overwhelming victory” in the 2016 presidential election. Oh, my. Sigh. I want to revisit a matter that I’ve looked at already. It just needs a revisiting. Donald Trump collected nearly 3 million fewer popular votes than Hillary Rodham Clinton. The totals are: Trump, 62,985,134, or 45.93 percent; Clinton, 65,853,652, or 48.02 percent. Clinton won the popular vote by a significant margin, although she didn’t win an outright majority of popular ballots. Trump won the Electoral College vote — which is where it matters — by a 304-227 margin. He needed 270 electoral votes to be elected. Overwhelming margin? Let’s see. 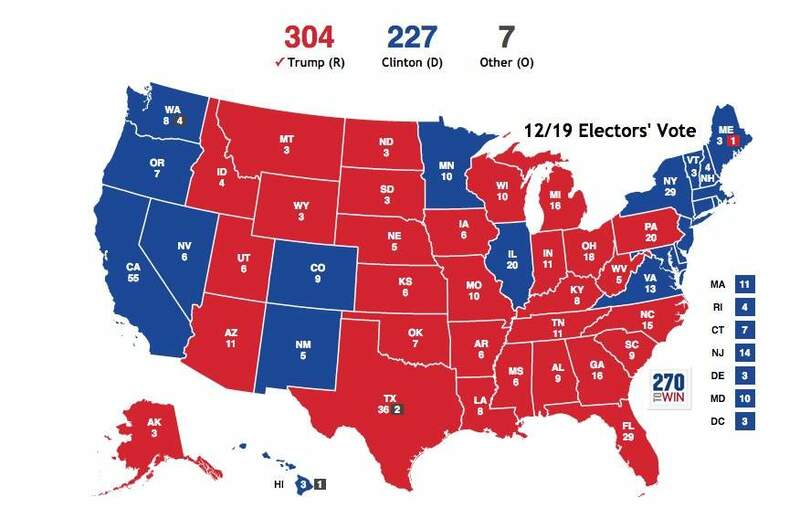 If three swing states that Trump won — Wisconsin, Michigan and Pennsylvania — had flipped fewer than 80,000 votes, Clinton would have won the Electoral College by three votes and, thus, would have been elected president. OK, please let me stipulate — once again — that Trump was elected legitimately. I believe in the Electoral College and I don’t want it repealed. Trump managed to pull off one of the nation’s most historic upsets by campaigning in precisely the right states at precisely the right time in a hard-fought, bitter and nasty campaign. The president keeps casting his victory in historic terms. He keeps saying he won handily. He didn’t. Sarah Sanders knows he didn’t. I know he didn’t and if he’s honest with himself — even if he cannot be honest with the rest of us — Donald Trump knows it, too. In a way, Trump’s victory was historic in at least one sense. Damn few so-called “experts” thought he’d win. He did. Despite having no public service experience, let alone any interest in it prior to running for president, Trump was elected to the only public office he’s ever sought. Overwhelming victory? Not even close. So, Mme. Press Secretary, stop repeating that lie. Donald Trump sees himself as one of the victims of the crisis that has erupted over the delivery of explosive devices to those who have been critical of him. 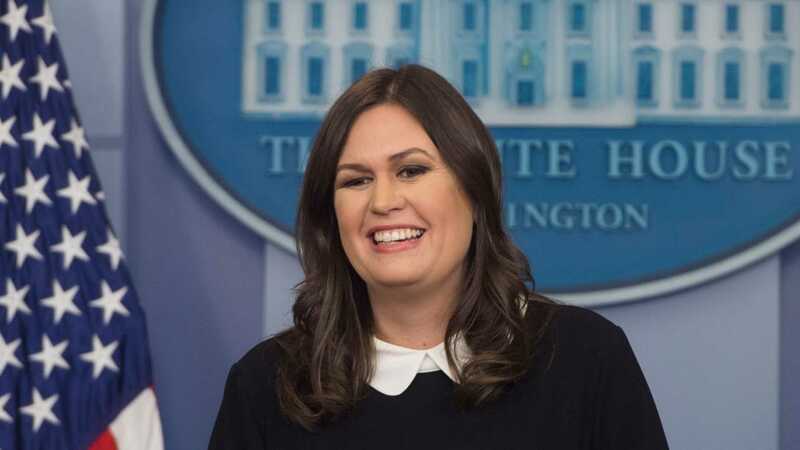 Here is what White House press secretary Sarah Huckabee Sanders said this week, according to Politico: “I think it is absolutely disgraceful that one of the first public statements we heard from CNN yesterday was to put the blame and responsibility of this despicable act on the president and on me personally,” White House press secretary Sarah Huckabee Sanders told Fox News on Thursday. I hear what Sanders is saying here. However, she and her boss — the president — need to fathom an essential element. Donald Trump needs to acknowledge that his fiery rhetoric has contributed to the nation’s sour political mood. He needs to acknowledge publicly his role in this national quarrel. He refuses to do so. He blames the media for its negative and “false” coverage. He blames Democrats for fomenting hatred of Republicans and of himself. Since the press aide brought up the Alexandria shooting by a left-leaning gunman and the grievous wound delivered to House Majority whip Steve Scalise, I want to remind y’all of this item. Scalise’s terrible wound was greeted with expressions of prayer and support for him by his Democratic colleagues. House Democratic leader Nancy Pelosi led the call for his full recovery. Yes, the president has contributed to this crisis. What is “absolutely disgraceful” is his refusal to recognize it. No ‘guarantee’? So, what is the problem? She was pressed this week about whether she could “guarantee” that there would be no tape recordings of Donald J. Trump using the n-word in conversation. Sanders said she couldn’t “guarantee” such a thing. Some in the media have gone a bit catatonic in their response to what I thought was a realistic answer. They have wondered how or why she couldn’t — or wouldn’t — offer a direct answer to a direct question. Consider a couple of factors here. First, as press secretary, Sanders very well might not know every tiny detail of every little occurrence within the West Wing. Second, she serves in a presidential administration led by a pathological liar. Donald Trump cannot tell the truth to anyone, or so it appears, at least to chumps like me. I am quite certain Sanders didn’t intend to question the president’s veracity by making her “no guarantee” declaration. Sure, Trump denies ever using the n-word. He says it’s not in his vocabulary. Do you believe him? I … do … not! However, her answer sounded to my ears to be about the most honest response she has offered while speaking for the president. Sarah Huckabee Sanders was served a pitch that she should have hit out of the park. Instead, she whiffed. It came from CNN White House reporter Jim Acosta, the current chief “enemy of the people,” according to the president and Sanders, his press secretary. The White House press secretary today revealed a potentially shameful side of herself. See the Sanders-Acosta exchange on the link here. 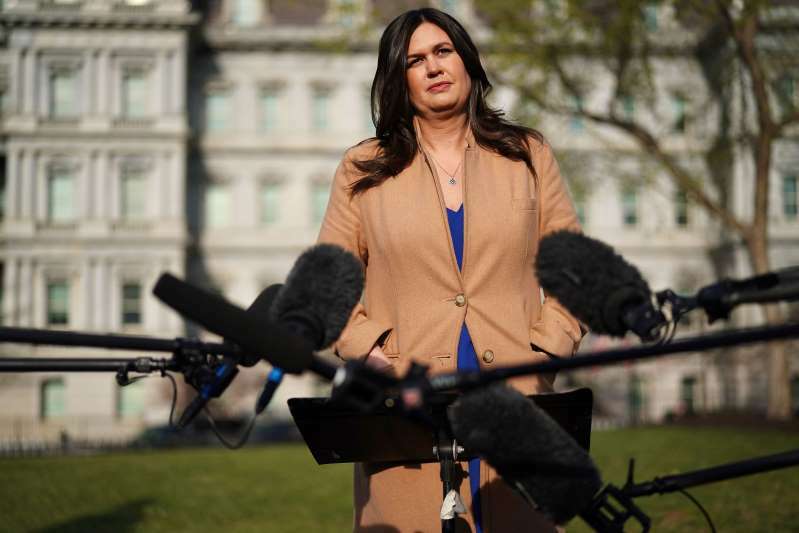 I don’t know whether Sanders actually believes the crap she defends in the White House press briefing room, or whether she feels some sort of blind fealty to the head of state. Perhaps there’s a third option, that she might fear being humiliated by the president if he perceives that she is straying too far off the marked trail. Whatever the case, the White House press officer could have assuaged many Americans’ fear that the White House has taken its war against the media to a frightening new level.